This time I opted for an evening of melodic death metal. 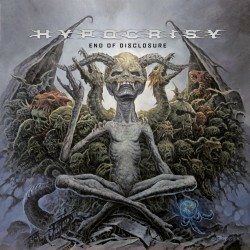 My exposure to Hypocrisy’s music is limited a handful of songs from their old albums but I am fan of Peter Tägtgren’s other side projects so I figured it was about time that I checked out his main band. Similar things apply to Kataklysm – I discovered them via their singer Maurizio Iacono’s side project Ex Deo. Out of the two bands I am more familiar with Kataklysm, particularly their mid-career works such as ‘Epic (The Poetry of War)’ and ‘Shadows & Dust’. Overall, it was a fun night out but I did not enjoy all the performances as much as I thought I would. The Spirit were surprisingly good and probably the best show of the night. Hypocrisy also put on a good show. As for Kataklysm, I do not like their latest album and I was really hoping to hear more old stuff. Maybe the next time I will check out Ex Deo live instead.